We offer a range of ayurvedic capsules that are made of natural herbs and ingredients and hence can be safely taken as they are free from any kind of side effects. These capsules provide quick relief and are appreciated by the clients for their effective results, accurate formulation and cost effective prices. 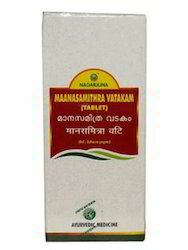 Manasamitra vataka is used for improves memory & intellect, reduce manas roga and increase ojas. 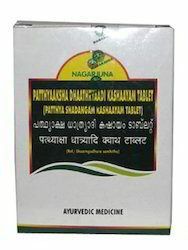 Sarpagandha being the time-tested and dependable antihypertensive from nature, contains the nonisolated and naturally balancing total alkaloids of the whole herb, and hence free from all sequels. It also reduces tachycardia. Thriphala acts as powerful antioxidant & rejuvenative, which fights hypercholesterolaemia & reduces anxiety, and which eases out constipation, protects heart and improves eyesight. It also fights hypergycaemia & depression. 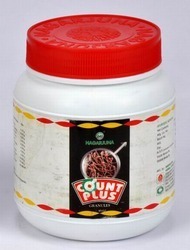 Ideal combination of Rauwolfa serpentina (Sarpagandha)& The triple Myrobalans (Triphala). Safe, smooth & well tolerated. Botanical Name (Sanskrit Name) - Qty. Buffer & Binding materials q.s. Quick haemostatic and analgesic actions. Efficient antiseptic and anti-inflammatory agent. Stops suppuration and accelerates wound-healing. 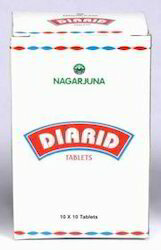 Quick & effective control for haemorrhoids & fistula. One tablet twice daily after food for 21 days or as prescribed by the Physician. 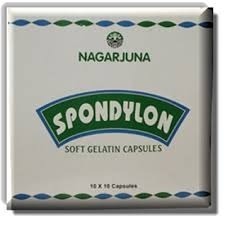 Effective in Shiro-rogam (Diseases of head), Bhroo-Shankha-Karnashoolam (Trigeminal neuralgia), Arddhaavabhedakam (Partial headache), Sooryaavartham (Migraine), Dantha-shoolam (Toothache) and Nakthaandhyam (Night blindness). Three Tablets, twice daily with luke warm water, one hour before food. 15 g twice daily or as prescribed by the Physician. 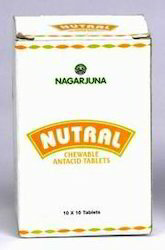 Effective in Cervical Spondylosis and Brachial neuralgia. Cevical Spondylosis, Neruralgia of shoulder and back. 1-2 capsules twice or thrice daily followed by warm water or as directed by the Physician. 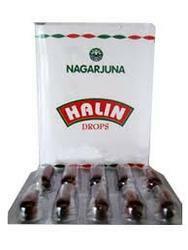 Anti hyperlipidaemia, Cardioprotective, Anti obesity and Antioxidant. 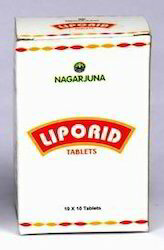 Raises HDL, Lowers Plasma LDL & Triglyceride Levels. Assists speed & safe LIPOLYSIS. Gulgulu (Commiphora mukul), Lasuna (Allium sativum) & Arjuna (Terminalia arjuna) the efficient scavengers of circulatory system. 2 Tablets twice daily or as directed by the Physician. Combination of powerful volatiles oils beneficial for the Respiratory system. Common cold, Nasal Congestion, Sinusitis. or sprinkle on a hand kerchief and inhale frequently. or drop on the pillows of the affected kids during . Reduces complications, No side effects. Salacia reticulata (Sapthachakra) the herbal hypoglycaemic of choice. Diabetes mellitus & associated complications. 2 tablets trice daily before food as directed by the Physician. Provides safe, tolerable & efficient purgation. Reverts the process of Osteomalacia. 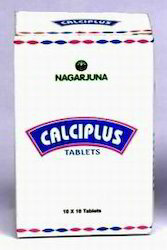 Promotes fracture healing and bone-growth. The unique phyto-chemical constituents that influence bone formation like Asthishrungala (Cissus quadrangularis) along with the rich Calcium & Vitamin D supplements from nature. Ideal for post-menopausal women & in hormone induced bone erosion. 1 tablet twice daily, followed by a cup of milk or as directed by the Physician. Time- tested acid neutralizing power of calcined conch shell (Sangha bhasma) that reduces heart-burn. 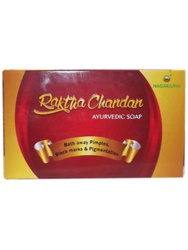 The enhanced carminative action of Ferula asafoetida (Hingu) provides added comfort. Refreshing mint flavour, No chalk taste. Hyperacidity and associated gastric disorders. Adult : 1-2 tablets to be chewed in 2-3 times daily or as directed by the Physician. Children : 1/2-1 tablet to be chewed in 2-3 times daily or as directed by the Physician. 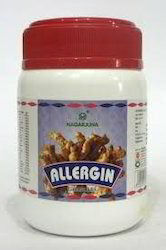 Anti Allergic- Urticaria, Anti Allergic-Pruritis and Anti Allergic-Eczema. Anti drug-allergic, Antitoxic and Antioxidant. The time tested antiallergic properties of Curcuma longa (Haridra). Various Allergic conditions including Allergic Rhinitis and Urticaria. One tablespoonful twice daily or as prescribed by the physician. Nourishes & repairs the degenerated disc. Improves micro-circulation to muscles & joints. Innovative combinationof Sahacharam (Strobilanthes heynianus). Erandam (Ricinus communis) & Nirgundi (Vitex negundo). Effective in Lumbar Spondylosis, Sciatica & Lumbo-sacral Neuromyalgia. Relieves pain & numbness of the lower back, hip & legs. Two Capsules twice daily or as directed by the Physician.